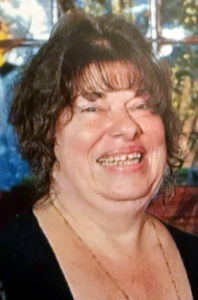 Debra Lee Osborne, passed away at home in Port Richmond on Monday, July 2, 2018 at the age of 55. Last year, I had a lovely visit with Debbie. It reminded of how sweet she always was. She told me about what a good man you are, Paul. She loved you very much and she so enjoyed your family dinners. She told me how much she loved you, Jean. A point of light has gone out in the world. I am so sorry for your loss. May sweet memories comfort you. My deepest sympathy for your loss. May our Heavenly Father Jehovah strengthen you with His promise to swallow up death forever and soon end all our suffering. (Rev. 21:3-5; Isa. 25:8) May His promises also comfort you during this difficult time. My deepest condolences to Mrs Osborne’s family, I just found out about her passing. So sadden by the news of her passing. She was my 5th grade teacher at Saint Michaels in Brooklyn. She was always entertaining, fun and a loving teacher. She was definitely one of my favorite teachers at Saint Michaels we had great times. I happened to see her recently at church at St Roch’s. She still had that big smile I remember her with. She even gave me my nickname Ninster which I use till this day. I will keep all the memories of Mrs Osborne with me always and I hope you all find comfort. May God Bless you always.